Liam Farris is better known in Hawke’s Bay as a musician, having gigged around the region over the last 30 years. However, as a child he compulsively drew and painted, and in his teens tried his hand at sculpting in clay and carving in wood. Since fooling around with pinhole cameras at intermediate school he has always wanted to seriously get into photography. During his time as Creative Arts Napier’s gallery assistant (1999-2004) Liam was inspired further by seeing other artists’ work. Liam’s photography through frosted glass started by accident. ‘I’ve always liked interesting visual textures like peeling paint, rusting metal, that kind of thing,’ he explains. ‘I happened to look through my bathroom window one morning and it was a bright day with the colours kind of bursting through. 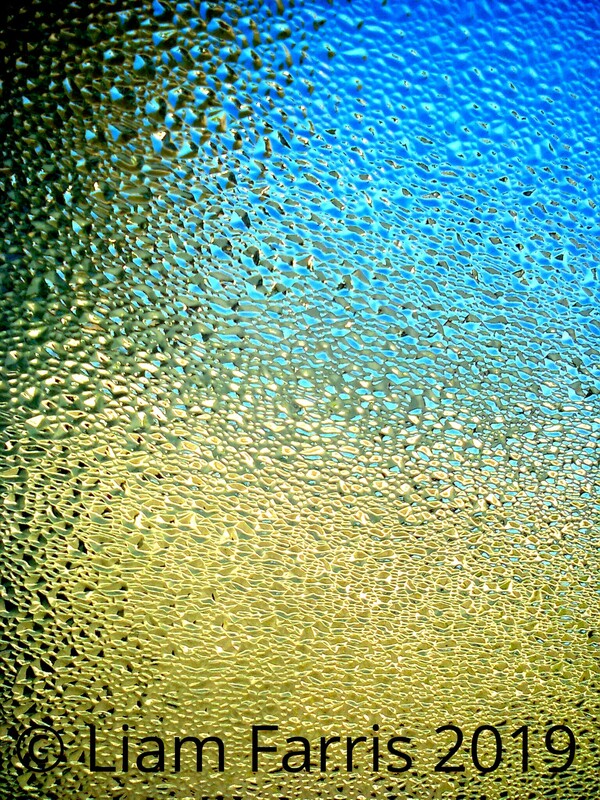 I just liked how it looked with the bubble texture of the window, so I grabbed my camera to get a photo. When I looked at the result, I was really struck by how well it turned out and how it kind of looked like an impressionist painting.’ The frosted glass had transformed what would have been a mundane scene into something else, which tied in to Liam’s interest in making everyday things look different; ‘So I just started taking lots of photos through frosted glass, at my place and friends places’ he says. ‘I’ve had interesting feedback about these pictures and just wanted to put them out there and see what kind of reaction they get from the public at large’.